Growing ferns from spore the easy way. Hello Platycerium enthusiast. Welcome to my site. I hope you enjoy my efforts. This site was created to help encourage people to grow Platycerium Ferns and maybe answer some questions that I had when I started collecting these beautiful plants. Collecting Platycerium ferns has been my hobby for about 12 years now and my collection includes almost all the species and a few hybrids or cultivars. The first version of this site was my own effort but Roy Vail, the author of "Platycerium Hobbyists Handbook", and myself have decided to start this joint venture. Please visit it again as we will be adding more information as time allows. The genus Platycerium is included in the family group of Polypodiaceae. 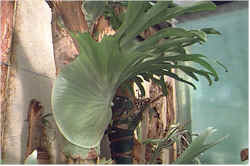 Platycerium ferns are Epiphytes, like orchids, which means that they only grow on the host plant and not from the host plant like Parasites. 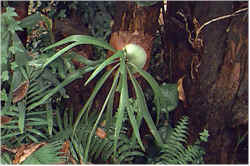 Epiphytes generate their own food and are not dependent on the host plant for sustenance. There are 18 recognized species and many hybrids and cultivars of the different species. Here we concentrate on the species only and the images and information is about the species only. 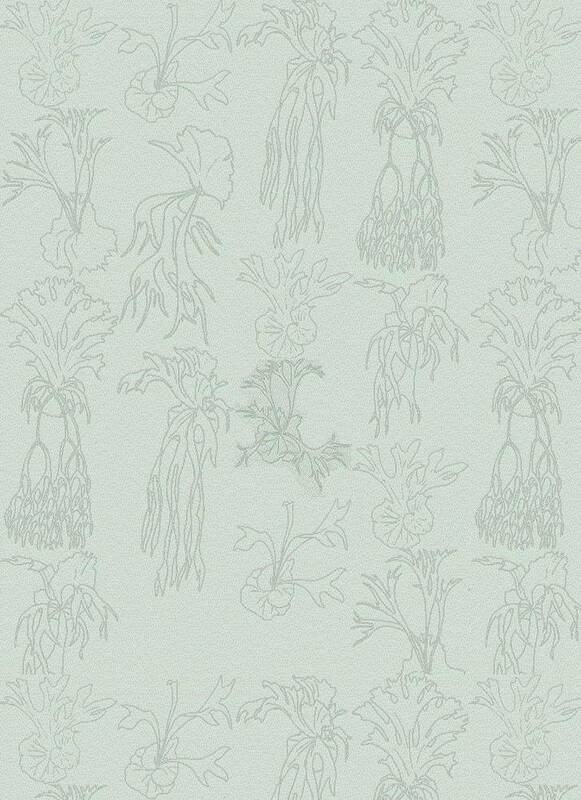 Who knows, perhaps one day we will do something on the cultivars. Follow the links from my "Species" page to more detailed information about the different species. Some species of Platycerium have become rare and quite endangered. Deforestation is a serious threat to the continued existence of some of the species in the wild. Roy is busy with serious negotiations in Peru to have a reserve set aside to protect P. andinum, the only Platycerium in the Americas. Many collectors and hobbyists have taken to growing them from spore. Unfortunately it is quite a lengthy process to get a sizeable plant from spore but it gives a great sense of achievement.